Regardless of the type of business that you run, you will have talented people in your team who you will want to develop and grow into future managers. So how do you go about creating the next generation of managers in your business? Congratulations Aida Milvydaite on being voted GreenStones team member of the month. 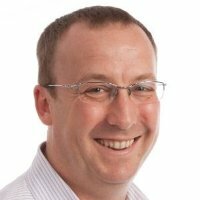 On 17 September 2018, Mark Wrigley will have worked at GreenStones for 20 years. Congratulations Tracy Smith on being voted GreenStones team member of the month for July 2018. Do you want to feel you are really making a difference? And be part of a team where your voice gets heard? Well you might be that special someone to help us provide quality accounts and tax advice to a select number of customers. Congratulations Leanne Stevenson on being voted GreenStones team member of the month for June 2018.